Broadly speaking, a good cooler should obtain a continuance use even if when your PC is upgraded, say 2~3 years. But don't forget at least once a year to clear the dust on your fan blade because the dust coming from the air and carpet would stop the cooler. Buy a cooler with alarm function. Buy the kind of mainboard with LDCM (Lan Desk Client Management) function. The alarm cooler would sound with the beeper when it senses the inside temperature is over than requirements it set. As for the kind of mainboard with LDCM would shows signs on screen about the case temperature, so you would know whether your cooler is still in function or not. Another method suggested here is when you encounter "continuous shut-down" that you are not able to find out any reasons, please immediately check if the cooler in your case is still in function. 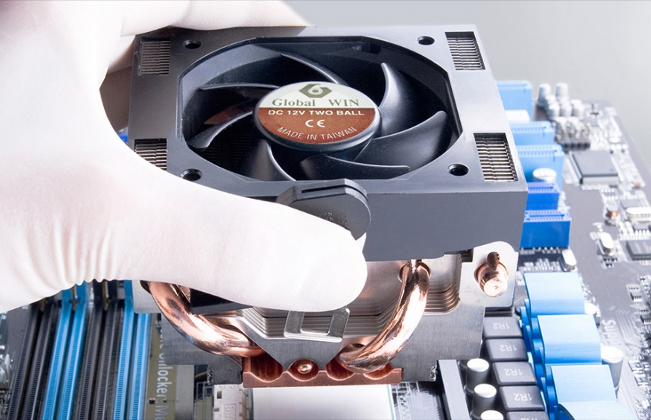 Choose the cooler with rotation speed detection to comply with mainboard also has the kind of function. You will see fan RPM and speed on screen and is alert whether it is still in operation. Convenient for users, because users don't need to spend time choosing or looking for which cooler is right to buy. At least it won't cause computer to shut down. A great difference in cost, at Pentium era, price difference is about US$10.00. For Pentium II, it is about US$14.00 or more. Worse heat dissipation effect, In considering the compatibility of total dimension requirement, the box CPU cooler is smaller and it's tank-like design also gets in way when there is an extra fan bringing air flow to the CPU. As it's a one-body design (cooler+CPU), just imagine what will happen when the cooler is out of order? Do you wan to buy another CPU? How much will cost then? Principally a bigger cooler can do better for thermal work, so it has better heat dissipation. But usually case space is limited and bigger cooler uses bigger fan which also creates more noise accordingly. Another factor is a bigger cooler is also heavier, so it might fall off during transportation. Or when your socket material is too weak to support this heavy cooler, it might fall off too. Big or not big, it's really a question to think about! Take Global Win's CPM25602-16 for example, it looks huge. Does it have above-mentioned disadvantages? As you know CPM25602-16 is number One in AMD K6 233MHz test (This CPU generates 28.3 Watt power), AMD set the standard that thermal resistance should not be higher than 0.5?C/W. CpM25602-16 is the only cooler that qualifies the standard. Also, it's a product designed for end users, so they won't encounter transportation problem like most system house, plus a rib under heatsink to avoid this cooler from sliding aside. Therefore, the CPM25602-16 is a fear-free design product. You don't need to worry about it. Different makers offer different ways. What's important when installing is to attach the heatsink bottom to the CPU surface as tightly as possible without hurting the CPU, and making sure the cooler will not fall off when you shake the mainboard. Generally one major point is: do not be too happy if a cooler is easy to install and very easy to dismantle. A good one is easy to install but requires a bit technique to dismantle.